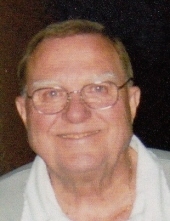 Richard Allen Beattie passed from this earthly life on Monday, March 25, 2019 in Tulsa, OK. He was born to Richard Hale and Eva Pauline (Clifford) Beattie on February 19, 1939 in a blizzard on a gas plant lease between Mt. Pleasant and Midland, Michigan. The family moved to Weleetka, Oklahoma where he graduated from high school in 1957. While at Weleetka, he was president of his class for four years and active in band and football. He attended Phillips University for his freshman year of college, and later transferred to East Central State College where he got a BA degree in History/Government and Speech/Drama. He was involved in the Band, United Student Fellowship and Student Senate. He graduated from the University of New Mexico with MA degree in Guidance and Counseling and an Educational Administrative Certificate from the University of Oklahoma and the University of New Mexico. Richard began his career teaching 7th grade at Washington Junior High School in the Albuquerque Public Schools. From there he was transferred to Valley High School where he taught college prep social studies. In 1974, he was appointed Secondary Guidance Coordinator for the North Region of the Albuquerque Public Schools. He was later appointed the Vice-Principal of Taylor Middle School and then McKinley Middle School. In 1983, he was appointed Principal at Adams Middle School, the largest in the state of New Mexico. During his leadership at Adams, the school won the National Secondary School Recognition Award with a trip to Washington D.C. to meet with President Ronald Regan in the Rose Garden. After four years at Adams, he was transferred to Cleveland Middle School for a short period before be transferred to Central Office to be the Director of Curriculum Support, Summer School and Extended After School Instructional Programs. On April 8, 1997, he and Patti moved back to Pryor, Oklahoma to be with their two sons and grandchildren. While in Pryor, he was involved with Arts and Council Program and the Library Board. For 3 years he taught the GED in the Bravo Company at Thunderbird Youth Academy. He was a very active member of the First United Methodist Church where he served on various committees. He was a certified Lay Speaker for the church. He and Patti headed the Church Care Program for six years. Having determination, strength, honesty, a strong work ethic and unshakeable faith in God, Richard influenced all who knew him. He cherished his incredible loving friends. As life moves on so does old age, with its creaks and pains. He and Patti moved to Brookdale Cedar Ridge in Broken Arrow in 2017. In Richard’s last moment his soul was eternally lifted up into Heaven, and he would finally see his loving family that he missed so much. Richard passed peacefully to Heaven to his final home, to the loving hand of our Lord Jesus Christ. Richard Beattie is survived by Patricia A. Beattie, sons, Richard E. Beattie of Broken, Arrow and Robert M. Beattie, his wife, Kelly Beattie, grandchildren, Brock Beattie, Saige Beattie, and Emree Beattie, of Pryor, Oklahoma. He was preceded in death by his parents, Richard and Eva Beattie, Sisters, Judy Gordon and Shirley Palmer of Pryor and Brother Jimmy Beattie of Bakersfield, CA. To send flowers or a remembrance gift to the family of Richard Allen Beattie, please visit our Tribute Store. In lieu of traditional remembrances, donations can be made to the Alzheimer's Association in memory of Richard. "Email Address" would like to share the life celebration of Richard Allen Beattie. Click on the "link" to go to share a favorite memory or leave a condolence message for the family.